A great honor, and a great pleasure: my guest blogger today is no one other than the one and only David Lowry, President of Lowry Agency!! If you love to read, think you are a wine connoisseur or love music then Club Fantasci is the new book club for you. A break from the traditional book club as it is held by a Google+ hangout, Club Fantasci endeavors to bring you something new to your reading experience. With live discussion, a sense of humor and also a critical look at books and all things necessary to help a book break through the masses, Club Fantasci will break down everything from its literary merits to its marketing. Our first meeting will be on August 31st at 7:00pm CST on Google+ with the live feed available to watch on the Club Fantasci website. To participate and share your views or just have fun with the hosts you can interact with us on our twitters pages @lowryagency, @ciaraballintyne,@dionnelister and @shannonmillion. Have you ever been so busy that you don’t have time to attend every book club function you want? Do you love to read but haven’t in a while and don’t even know where to begin when looking for a new book? Do you like fantasy, science fiction, paranormal, erotica or anything in between? Do you want to find others that like the same types of books you do or discover new authors? If so then Club Fantasci is the book club for you. A little different from your average meet once a month at the coffee shop book club, Club Fantasci meets once a month on Google+ and we talk about the Book of the Month, Wine of the Month and the music that each host feels best relates to the book we are reviewing that month. In Club Fantasci we will discuss speculative fiction and it literary merits. The marketing of it, its effectiveness, and whether or not it shifts to much from it expected outcome from it genre. We wants to bring our members a deeper understanding of not just story telling, but what goes into the book itself on every level. Our first Google+ hangout is August 31st at 7:00 pm CST. You can interact with us on our individual twitter accounts @lowryagency, @ciaraballintyne, @dionnelisterand @ShannonMillion to discuss your views on the book or just to have fun with us live. The video feed will be live on the Club Fantasci website. Enjoy a wonderful creativity guest post from Ciara Ballintyne on Club Fantasci, and travel into the deepest realm of your imagination. Join Clube Fantasci and explore the deepest corners of your imagination. How do you travel? By car, bus, boat, train or plane? Or… by paper and ink, or ereader, teemed with your imagination? Where do you travel? Venice, Rome, London, New York? Or to the dark emptiness of space, where a vast planet curves out of sight in the vista below you? To a fantastical world where dragons fly, and sunlight pours like syrup? I have been to hundreds of worlds I could never reach by car or plane, carried by the wings of fancy, aided by the dreams of someone else, written down and shared. I have walked the earth of planets far away, in our galaxy or another, and strode across the landscape of imagination to face the hordes of evil. Without speculative fiction, my life would be immeasurably poorer. If this sounds like you, you should check out Club Fantasci, a new video book club for speculative fiction. The hosts meet monthly via Google+ Hangout to discuss the book, and you can tune in to watch. You get your say on the discussion boards for the group at Goodreads! There’s a current debate about what ‘traditional fantasy’ means exactly (in a situation where high/epic fantasy is a different category) so come along and have your say. My current view is it might be sword and sorcery, or possibly heroic fantasy. Do you know? The first G+ Hangout is on 31 August at 7:00pm CST, and the Book of the Month for August is ‘The Night Circus’ by Erin Morgenstern. Feel free to drop by our Facebook Page or Goodreads group and make suggestions for future books. I’ll be revealing September’s Book of the Month at the August G+ Hangout. Introducing author, Dionne Lister, plus a giveaway! Today, I’m thrilled to be introducing you to author Dionne Lister. I met Dionne on Twitter, a while ago, shortly before the release of her debut novel, Shadows of the Realm. I am very glad I discovered this author as she is now on my list of favourites. 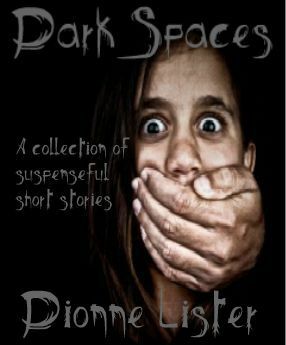 I am looking forward to reading her latest book, Dark Spaces – A collection of suspenseful short stories, which is already on my Kindle! After reading, and thoroughly enjoying, Dionne’s debut novel, I was keen to introduce her to all of you. If you like fantasy fiction, you really should get to know this author. Dionne very kindly agreed to answer my interview questions and has also offered to give away 2 e-book copies of Shadows of the Realm, and 2 e-book copies of Dark Spaces to followers of this blog! If you would like to enter the giveaway please leave a comment below or simply ‘like’ the blog post. Winners will be chosen on 16th September 2012. Shadows of the Realm is the first book in a series. Did you start out with the idea of writing a series or did it just develop into a series later? I wanted it to be a series from the beginning. Most of the fantasy I’ve read over the years is always part of a series and I like that because I get invested in the characters and when I read a good book, I miss the characters when it’s finished. Who designed the cover of your novel? It’s very striking. Thanks Maria. The cover is something that was really important to me, especially as I think fantasy is a genre which cries out for artistic and imaginitive images that evoke the feel of the world your trying to convey. A Sydney artist, Robert Baird, did it and I was so happy when I saw it that I cried. Your characters have great names! How did you come up with the different names? I don’t know lol. I have a picture of the character in my mind, then went through different letters and names in my head until it fit. I think names can conjure a feeling about a person. Although my Greek background came out in the dragons’ names. Greeks have long names, like Papadopoulos, and I was sort of having a joke with that. Zim was originally Zimapholous Terralphyn Accorterroza, but a beta reader didn’t get the joke and said the names were too long, so I cut them lol. In your novel, your Realmist characters have to bond with a creatura, who will become their animal friend and partner for life, and they can ‘talk’ to them telepathically. If you could bond in such a way with an animal what type of animal would you choose and why? I would say a panther. They are so strong and I imagine calm in a tricky situation. Their eyes are mesmerizing and look as if they see to the heart of things. Your book is full of wonderful characters, including dragons, and Realmists, ‘talking’ animals. If you could spend a day as one of the characters in your book, which one would you choose, and why? That’s a tough question. I think Zim. It would be awesome to glide around in the sky and breathe fire at people. I understand you have had some success in getting the book noticed by local schools. Can you tell us a bit more about that? One of the local high schools bought my book and the students are loving it actually (which I was very excited to find out). We have a program here that encourages kids to read. They have to read 20 books a year. 15 of the books they read have to come from something called ‘The Premier’s List” and I’m trying to get my book on there at the moment. If they accept it, most of the schools in our state will buy it. Is fantasy your favourite genre to read as well as write? It used to be my favourite genre, but in the last couple of years I’ve branched out and am reading contemporary literary stuff as well and I’m really enjoying that. I love writing fantasy but my suspenseful/scary stuff is something I love to write equally as much. I love writing horror too, but haven’t done any for a long time, although there’s a little bit of horror in Shadows of the Realm (as you know). What inspired you to start writing Shadows of the Realm? I had wanted to write a novel for as long as I can remember, and I thought fantasy was a good place to start since I loved it and I didn’t need to do any research. That sounds terrible but I’m lazy lol. The first draft only took a few weeks. I understand that there was a period of about 8 years between you writing the book and finally getting it published. What was the reason for the delay? Life, lack of experience and opportunity. When I initially wrote it, tradition publishing was the only way to publish and of course I had a few rejections. I was busy with my full time job, then kids came along. I also realised that I probably wasn’t as good a writer as I thought, so I enrolled in a creative writing degree so I could learn, and then revisit my book. I went over it again then found an editor (after a false start where Jessica Hollis Brown took my money but did no editing – there’s a post on my blog about this). Then I went through my book about four more times and finally was ready to self-publish. 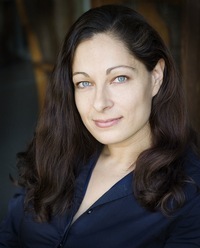 You are the co-host of the Tweep Nation podcast, with Amber Norrgard. I enjoyed being interviewed by you both on the show. How did you and Amber meet, and what gave you the idea for starting the podcast? We met on Twitter. Social media has been wonderful to me. If it wasn’t for Twitter I would never have self-published. Anyway, I was asked to co-host a friend’s podcast (newbiewriters.com) and after Amber heard it she suggested, um no, insisted, we do our own. And thus, Tweep Nation was born. If you could interview any author on the podcast who would that be? Douglas Adams, and yes, I know he’s dead, but I think he would have been very interesting to talk to. Who were your favourite authors as you were growing up? David Eddings, CS Lewis, Douglas Adams, Stephen King. There have been so many good authors that I don’t think I could name them all. So many books have influenced me and stuck with me. Are you reading a book at the moment? I just finished The Night Circus and I’m currently reading The Hours (that one is for uni). When I’ve finished those I have Coincidences on the list and a book by another indie author, Donna Cavanagh, called Try and Avoid the Speed Bumps. I prefer print books for aesthetic reasons, but e-books win in the cost and convenience stakes. Do you have any advice for someone thinking of self-publishing a book? If you want to do it properly don’t cut corners. Don’t be too eager to get it out there. Have it edited, go through it four or five times, be particular. Even then you will still make mistakes, but if you want to be around for a while, quality counts. There are too many writers who don’t take it seriously and their books have five typos on every page, the grammar is shocking etc. If you don’t put your best work forward no one is going to read your second book (although Fifty Shades of Gray has done ok lol). Something I will admit, is that the more you write, the better you get, so your first book probably won’t be the best you will ever do. Do the best you can and build on it, and don’t lose hope, you will keep improving. I would also recommend doing some kind of course. Uni has improved my writing ten fold, I get better with every subject I do. 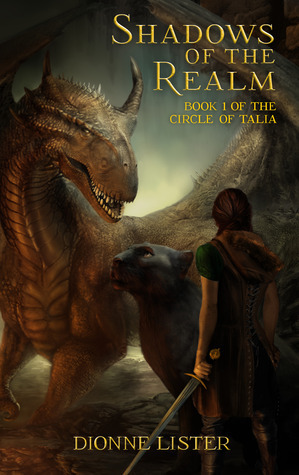 I understand you are writing the sequel to book 2 in your The Circle of Talia series right now. When do you think that will be published? I’m aiming to have the first draft done by Christmas. I’m envisaging a March release date (fingers crossed). You’ve just published a collection of short stories, Dark Spaces, that I’m very much looking forward to reading. Are the stories fantasy tales, or are there other genres too? There’s only one fantasy flash fiction in there. The stories are mainly dark suspense or looking at an intense situation. Most of them are crime/thriller and have a twist at the end. Were the stories in your new collection all written specifically for an anthology or were they stories you had written over the years? They were all stories I had written over the last couple of years, usually for competitions. When I realised I had a few I decided to do something with them. Breathe In Autumn was runner up in a Five Stop Story competition, while Heart of an Angel had an honorable mention in the another comp run by Five Stop Story. My flash fiction piece “Outback Lament” was written for a competition but because I had posted it on my blog I was not allowed to enter it, but someone has just requested to include it in an anthology because they liked it so much! I was very excited when I got that message. Thank you for being a wonderful guest, Dionne, and I wish you success in all your writing endeavours! Do you love dragons – or other mythical or fantastical creatures? Ever experienced that moment where, halfway through hotly debating whether the dragons in Harry Potter are in fact dragons or wyverns, you realise everyone is staring at you? Or while discussing the differences between hippogriffs and gryphons, everyone starts edging away? I have. In fact, it was the Harry Potter debate that did me in. I still staunchly maintain those are not dragons. They’re wyverns – of the pterosaur variety. I see you nodding in agreement… We understand each other. But ten years later, my friends still remember that incident. Don’t start on the dragons again, they say. Or the other objection I encounter is ‘You do know dragons aren’t real, right?’ So what? Why does that matter? The mythology, and even more recently, the fantasy classifications, do exist. If you know what I’m talking about, you should check out Club Fantasci, a new video book club for speculative fiction. We’ll be discussing the literary merits of each selected book, but also the extent to which a book deviates from or meets genre expectations – anything and everything that impacts on a book’s effectiveness. The hosts meet monthly via Google+ Hangout to discuss the book, and you can tune in to watch. You get your say on the discussion boards for the group at Goodreads! We’re all familiar with the rise of the ebook. It took a little while to take off, longer than it took the music industry to accept the idea of ‘digital files’ being downloaded to a device, but they are now well and truly here. And it’s not just the way we read books that is changing with technology. Once upon a time, a book club would meet at a location, with paperbacks in hand, to discuss the literary merits of the book of the month. There might be coffee and cake. Or maybe wine, depending on the time of the meeting. Now we have video book clubs, where the ‘hosts’ meet via video link-up of some kind – Skype, or Google+ Hangout. I’m sure there are others with which I’m unfamiliar. Members can interact via a discussion board. Now, people who have never met face to face, may never meet face to face, and could never have participated in the same book club, are meeting to talk about books. Because of technology, the internet, websites and forums like Goodreads, and innovations like online video link-ups. Today I’m excited to have one of my favorite people on the blog to talk about a wonderful new group.I first met author Ciara Ballintyne on Twitter. Upon discovering that we both write fantasy, a connection was made. After reading the pointed guest post that she contributed for today’s blog, I’m more convinced than ever that we’re kindred spirits. I look forward to your thoughts on escapism. What do you seek from the books you read? I hope you’ll let us know in the comments below. For now, let’s turn things over to Ciara! Hey Everyone, hope you’re all well. I’m excited to tell you about a fantastic new book club—Club Fantasci. The club was born a few weeks ago. The proud father is David Lowry and his posse of intelligent, gorgeous co-hosts are Ciara Ballintyne, Shannon Million and myself, ahem. Club fantasci covers all fantasy genres: from sword and sorcery to paranormal romance and sci fi. If you’re into any of these genres there’s sure to be something for you over the course of the year.Anyway, we read a book a month and then have a Google+ hangout to discuss our thoughts. These discussions are bound to get interesting because we’re all rather opinionated.